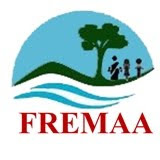 Applications are invited from eligible Indian citizens for engagement on contractual basis for the following post in Flood and River Erosion Management Agency of Assam (FREMAA) as may be given below. Qualification : Graduation in Computer Engineering from a recognized University / MCA. Experience : 02-03 years of relevant experience. Proficiency in Computer languages like C, C++, Java, Web Designing, Office Management, MIS, etc. is desirable. Pay : Rs. 45,000/- per month. TA/DA and other allowances admissible as per FREMAA norms. How to apply: Applications complete in all respects should reach the above mentioned address latest by 18th of April, 2018. Applications received after 18th April, 2018 will not be accepted. Self attested copies of all certificates/marksheets pertaining to Age, Qualification, Experience, etc. should be submitted along with the application and should be sent to Chief Executive Officer, Flood and River Erosion Management Agency of Assam (FREMAA), 4th Floor, Nayantara Supermarket Building, G.S. Road, Six Mile, Guwahati – 781022. Envelope containing the application should be superscribed with the relevant post applied for as “APPLICATION FOR THE POST OF……………..”.